Posted on: February 2, 2018 By: Christopher Brown, Esq. 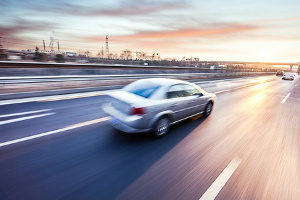 Whether you are a resident of Virginia or just driving through the state, it is important that you know about Virginia speeding laws and traffic laws. Speeding violations, reckless driving, improper lane changes, and tailgating are considered as serious offenses in the state of Virginia and if you are being stopped for any of these offenses will lead to the loss of your driving privilege between 60 days and 120 days. Many motorists wonder why Virginia treats speeding violations a bit too harsh compared to other states. One of the reasons is that legislators want to keep people safe by making the roads safer. This is the reason why proposals on the driving laws are proposed in the Virginia General Assembly to protect the welfare of all motorists. Reckless driving in Virginia is considered as a Class 1 misdemeanor. It is a criminal offense and it carries 6 DMV points, a fine of $2,500, and a possible jail time of up to 12 months. Reckless driving prohibits you from driving over 80mph or on any speed that is 20 mph over the speed limit. This Class 1 misdemeanor has the same level of offense as driving under the influence (DUI). HB2201: This law sets fines for motorists who fail to drive on the right side of highways such that slow drivers should drive on the right side of the lane and fast drivers should drive on the left side of the line. Failing to observe the right traffic lanes will land you a fine of $100. HB2467: Driving suspensions are concurrent in Virginia. If your license was first suspended because you failed to pay the fines ordered by the court and yet found out that you are driving with a suspended license, the two suspensions can run concurrently. HB2327: This law implies mandatory breath test for suspected DUI motorists. While there are no penalties if you refuse from submitting to a blood test to find out the alcohol content in your blood, outright refusal to submit to a breath test is not allowed. Moreover, the penalty for refusing to undergo a breath test is increased. HB2386: The grace period for the unpaid court fines and penalties has increased. Moreover, the payment of the penalties can be given in either a deferred or installment payment agreement. Virginia Code 46.2-852: While Virginia speeding laws are based on speed, any person who drives the vehicle on a highway recklessly or in a manner that may endanger the life of any person (passengers or other motorists) shall be considered guilty of reckless driving. Virginia Code 46.2-869: A person charged with reckless driving but upon the court’s discretion was found to be only guilty of improper driving, is punishable by a fine of no more than $500 and a removal of 3 DMV points. Reckless driving and over speeding poses unique problems to drivers as they are offenses that can land you in jail as well as the loss of your license. This is especially true if you are a non-resident of the state of Virginia. So how do you protect yourself? The answer is simple really and that is to not go over 80 miles per hour in Virginia. Make sure that you keep your speed to no more than 19mph over the speed limit. But aside from maintaining the right speed, make sure that you also control your vehicle by driving in the right lane. But what if despite your careful driving, you still over sped and were given a ticket? 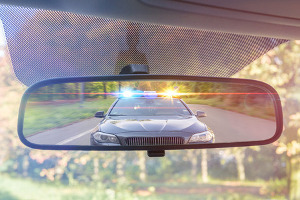 If you are one of the unluckiest recipients of an over speeding ticket, what should you do? The first thing that you need to do is read the ticket and see what you are charged with. 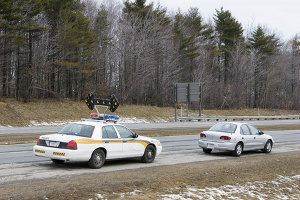 If you are charged with regular speeding, you can decide to pay it instead of hiring a lawyer. But if you are charged with reckless driving, then this changes the ball game. The thing is that you need to think carefully about how you should respond to the ticket. Remember that reckless driving and over speeding are considered criminal offenses so before you accept the conviction for over speeding, make sure that you seek help from a reliable lawyer. Accepting the conviction means that the crime will be on your record for life! The first thing that you need to do is to call a lawyer who specializes in traffic law to handle your case. The goal of the lawyer is to reduce your charge to something that is more acceptable (improper driving) so that your record won’t have to suffer. A good lawyer can help you assess what your options are as well as determine the outcome that will likely happen. Knowing what you are facing allows you to make the right decisions and also create a plan of action to deal with the reckless driving ticket. The end goal of hiring a traffic lawyer is to completely dismiss the charge especially if you believe that you ought not to receive the ticket in the first place. If you are pulled over and charged with reckless driving or over speeding in Virginia, make sure that you seek help. Here at The Brown Firm PLLC, we have experienced traffic attorneys that can help you sort out the mess that you are in. Getting a reckless driving ticket will put you in a very sensitive situation and you are only given a short time before you lose your chance to appeal. With an experienced lawyer, you are in good hands.